Receiving money from abroad is often either costly or time-consuming, especially when dealing with private clients who just pay relatively small amounts of money. As my company is registered in Peru, I also have my business bank account here. However, all my clients live outside Peru. As I mentioned in this article, receiving international payments does work for me here and I combined several possibilities to keep costs as low as possible and being able to offer my clients different options to make their payments. I’ve had my Borderless Account for more than half a year now and think it’s time to write a TransferWise Review and explain why I like to use this service and why I recommend it for digital nomads. Although TransferWise is registered as an Ltd in the UK, it was founded by two guys from Estonia back in 2011. Not too surprising. Skype was also invented in Estonia and apart from that, this small Baltic country has become famous for its e-residency concept in recent years. So now we have TransferWise as an (almost) ideal solution as far as banking for digital nomads is concerned. 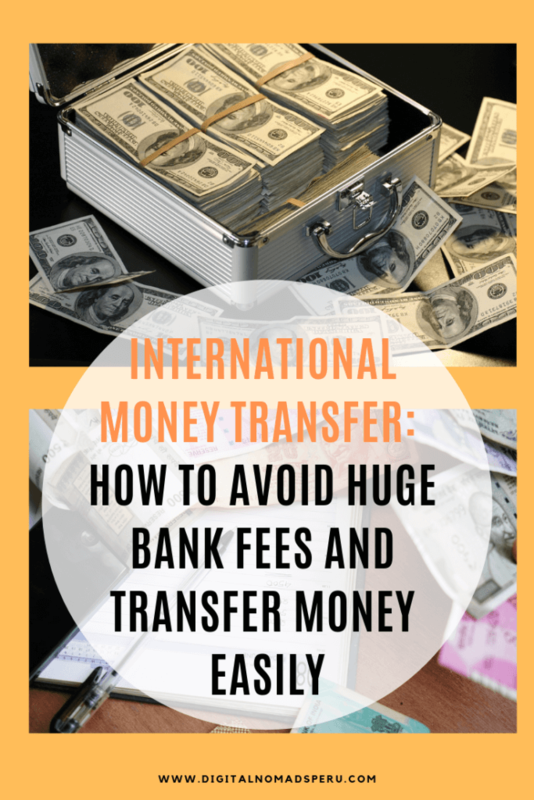 Basically, it’s a money transfer service which enables you to receive international payments without losing a lot of money because of exorbitant commissions or unfavourable exchange rates. 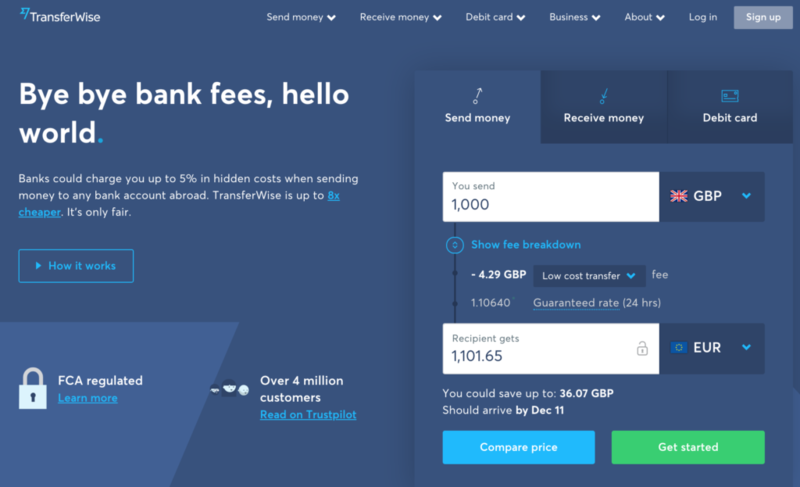 TransferWise uses a peer-to-peer concept to transfer money from one country to another. What exactly does this mean? Well, it means that TransferWise uses their account holders funds for international bank transfers. If you want to send money from the UK to Peru, your money stays in the UK and someone else’s money is transferred from Peru to your Peruvian bank account. If someone else needs to send money to a British account, your money will be used for that. 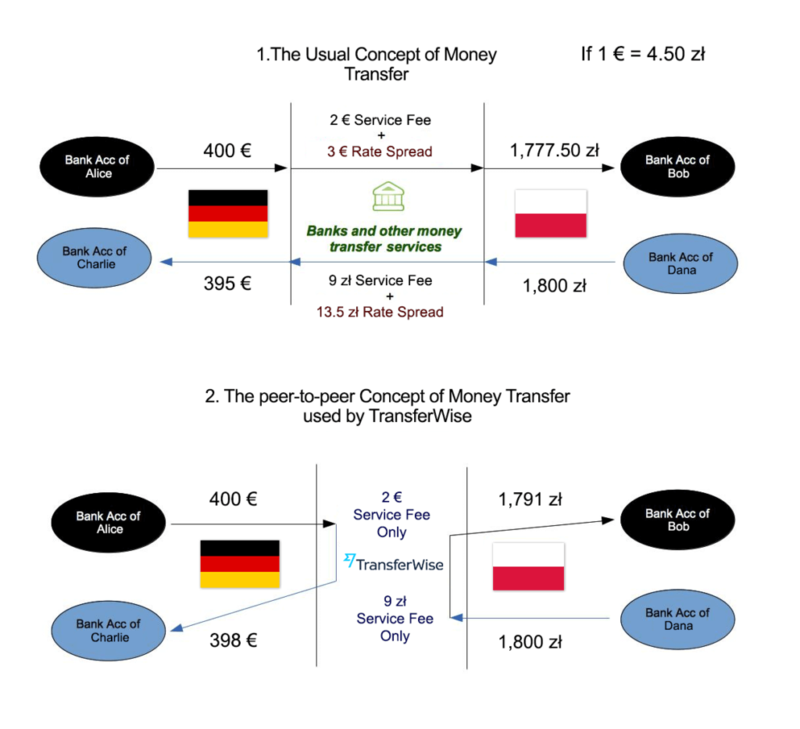 As you see, this concept makes international bank transfers much cheaper and in many cases also quicker. And what is a Borderless Account? With TransferWise, you no longer need to open bank accounts in different countries. Borderless Account means that TransferWise holds various currencies for you which you can withdraw to your local bank account at any time. In my case, a euro bank account is crucial as many of my clients live in the Eurozone or in Switzerland. 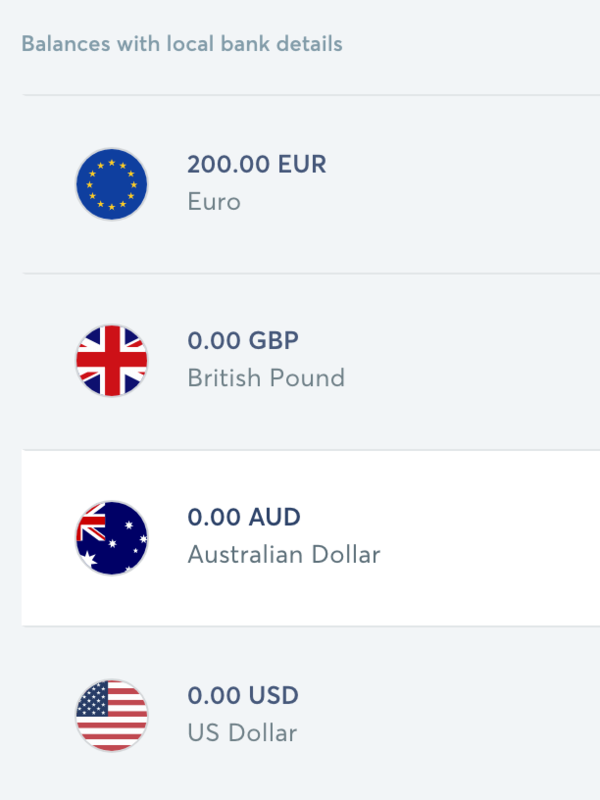 TransferWise provides you with local bank details for accounts in Germany (Euro), the UK, the US, Australia and New Zealand. When you give your clients these bank details, they can easily pay you by transferring the amount due to your Borderless Account. With the exception of the American account, there’s no need to tell your clients that it’s a TransferWise account because your name is shown as the account holder name. Normally, I’m transparent about this, though and sometimes, clients decide to open a Borderless Account themselves. For some reason, things in the US tend to work differently compared to other countries I’m used to. Here, the account holder name is TransferWise FOB Daniela Fries and you have receiving limits. However, these are pretty high. A 24 hours receive limit of US$ 250,000 and a yearly receive limit of US$ 1,000,000 is probably more than most of us need. The two different routing numbers are also confusing when you’re not used to the American bank system. To be honest, most of my American clients prefer PayPal but for example, it’s possible to use your TransferWise account when you’re an amazon affiliate. In general, using the ACH routing number results in lower or no fees. These fees have nothing to do with TransferWise. If someone from the US reads this text and would like to comment explaining the exact difference between the routing numbers, feel free to do so. I read some explanations online but am still pretty confused. You have the option to hold approximately another 40 currencies on your borderless account. However, these come without local bank details, so you cannot receive money directly. At the moment, I don’t need this possibility but it’s useful if you need to make payments to a bank account abroad. Depending on your country of residence, you can apply for a TransferWise Mastercard (debit). At the moment, they just offer this possibility for many European countries but say that one day it will be available outside Europe, too. How can I apply for a Borderless Account? Applying for a Borderless Account is really easy and straightforward and can be done totally online. For some countries, it’s not possible, though and there are also restrictions as far as the US bank details are concerned. Brazil, Hongkong, India and Japan are countries where a borderless account isn’t currently possible – and where you probably wouldn’t have expected it not to be possible. In the case of Cuba, North Korea or Afghanistan, it’s not much of surprise. Please note that TransferWise asks for a proof of residence. In my case, it was enough that my official address in Lima is printed on my Peruvian identity card. If you’re currently not a resident anywhere, you’re likely to run into problems. Not only with TransferWise, though. There’s a reason why many digital nomads don’t cut ties to their country of origin completely. The fees that TransferWise charges depend on the combination of currencies and the chosen transfer option. In many cases, you’ll find the fees to be lower than those of competing companies like PayPal but in some cases, they may be higher. However, the TransferWise homepage includes a nice calculator which tells you exactly how much each transfer will cost. Very transparent and easy to understand. Another advantage is that TransferWise guarantees your exchange rate for up to 48 hours. So even if something happens and a currency loses value overnight, you can keep calm. Apart from that, hidden fees can often be found in unfavourable exchange rates. For me, Payoneer is the best example (although I recommend and use it). When I receive a payment of US$ 1,000, I pay just a small commission of US$3. Sounds great, doesn’t it? But Payoneer uses their own exchange rate and that results in a loss of about US$ 30 when I withdraw to a Peruvian soles account. With Payoneer, I’d get about 3,250 soles for my US$1,000 and with TransferWise about 3,295 soles. That’s a difference of 45 soles and for that money, I can have a nice dinner in Lima. How long does receiving money from abroad take? The clients who pay me through TransferWise live in Switzerland, Germany and the UK. That means I give them the bank details for the euro bank account (that’s a German bank) and for the GBP account. In my experience, their payment shows up on the TransferWise website (and they send me an email) the next day when the client paid before noon and after two days when the client paid in the afternoon. When I request a withdrawal to my Peruvian bank account on Tuesday, for example, this money will arrive in the late Wednesday afternoon. In the case of Peru, it’s always a national transfer from the BCP bank (Banco de Crédito del Perú) to my Interbank or Scotiabank account. If you have a BCP account, your money may be available a little earlier. I’ve already read reviews of people complaining about the customer support being almost non-existent but I don’t agree with it. TransferWise provides telephone support in various countries and languages and the only time, I had to use it, they were very friendly and efficient. I only had good experiences with their email support, too. Fast and useful replies. Before you contact the customer support, make sure that your question hasn’t been answered in TransferWise’s very extensive FAQ already. TransferWise regularly sends you a verification code by SMS when you try to log in. That’s for security reasons and makes a lot of sense. You can easily change your phone number once you’re logged in. That one time when I had to contact the customer support was when I was unable to log in because I had changed my phone number and no longer had access to the number TransferWise was sending the SMS, too. They asked some security questions on the phone and then sent a verification code by email so that I could log in and update my phone number. TransferWise has an affiliate program and affiliate programs are a great way for bloggers to make money. I don’t want paid ads on my blog and I would never recommend something I don’t use and like myself. The TransferWise affiliate program was one of the first ones I signed up for. You may have come to this article from the small widget on the blog’s sidebar. That widget also has a link, an affiliate link which sends you to TransferWise and includes my tracking code. If you decide to open a Borderless Account by clicking either the link in the sidebar or on the banner below, Digital Nomads Peru will earn a small commission at no extra costs for you. And you’ll save a lot of money when making international transfers in the future. Win-win for both of us! By the way, once you’ve opened your Borderless Account and have made your first transfers, you can apply for the Affiliate Program yourself. It’s pretty straightforward and TransferWise provides you with all the information and tracking links you need. Did you like the article? Then why not share it on Pinterest and your other social media accounts? Huge thanks!